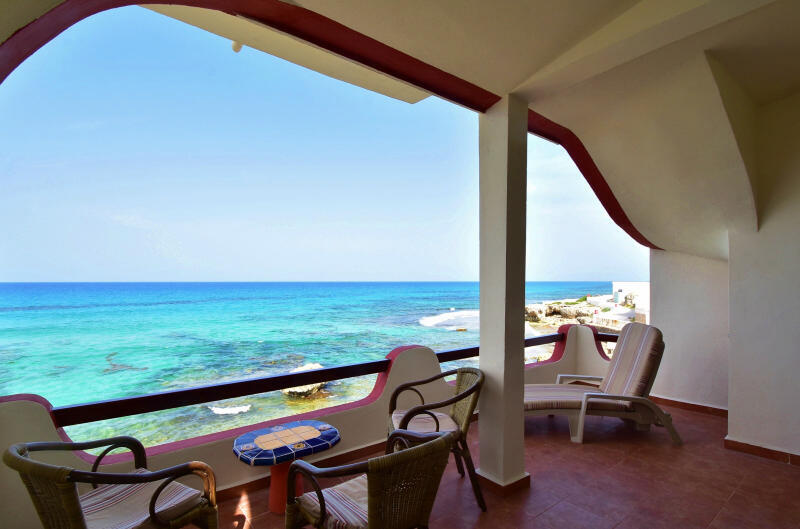 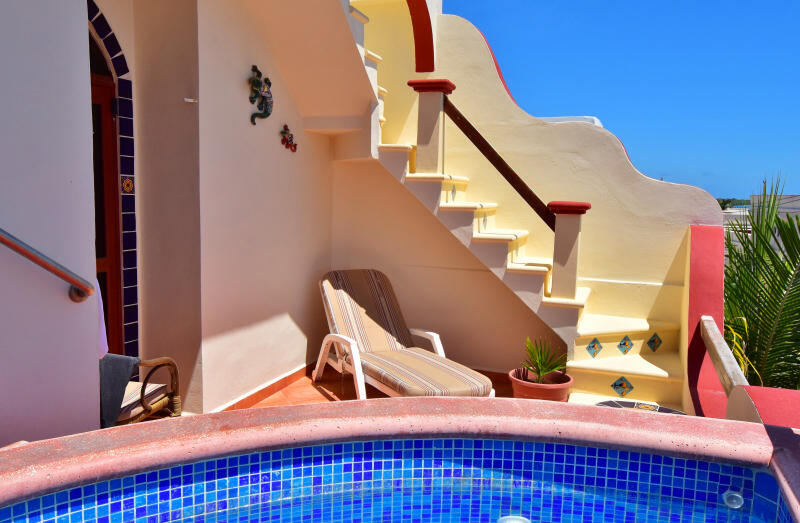 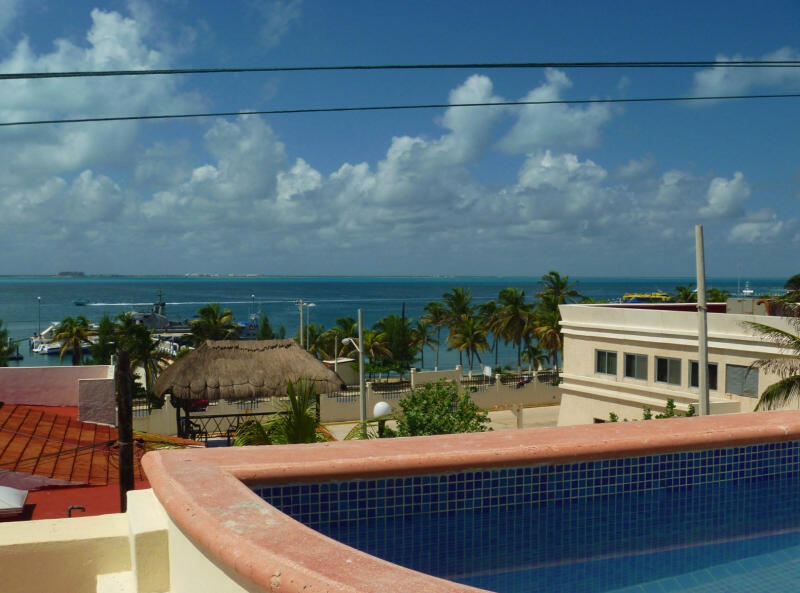 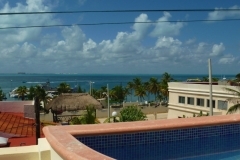 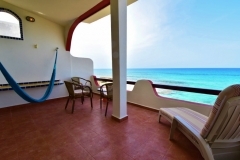 Casita Isladise is a spacious two level apartment with amazing views and many terraces to enjoy sunrises and sunsets from. On the upper floor, relax by the plunge pool on the bedroom’s Sunset Terrace to enjoy the setting sun and the lights from Cancun twinkling in the distance over the Bay of Mujeres. 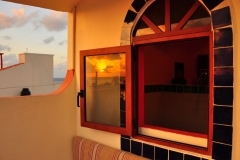 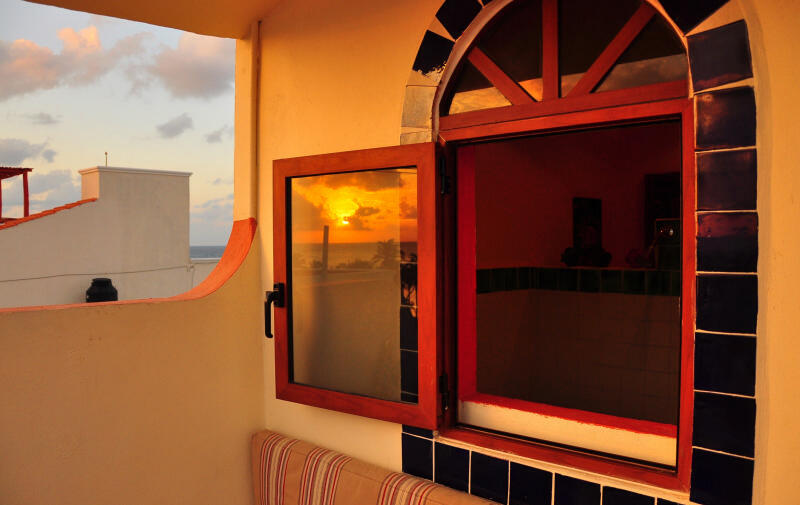 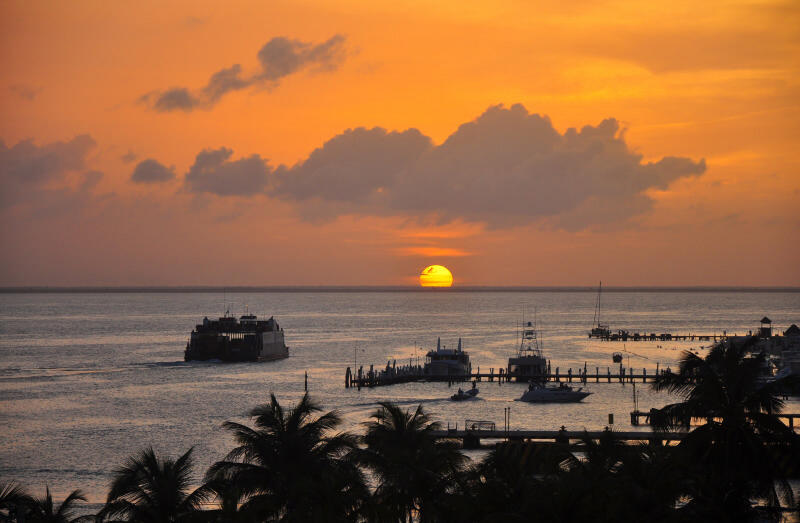 The Sunrise Terrace, also accessed from the master bedroom, has a great view overlooking the malecon and is a relaxing space to enjoy morning coffee while watching the sun rise over the Caribbean Sea. 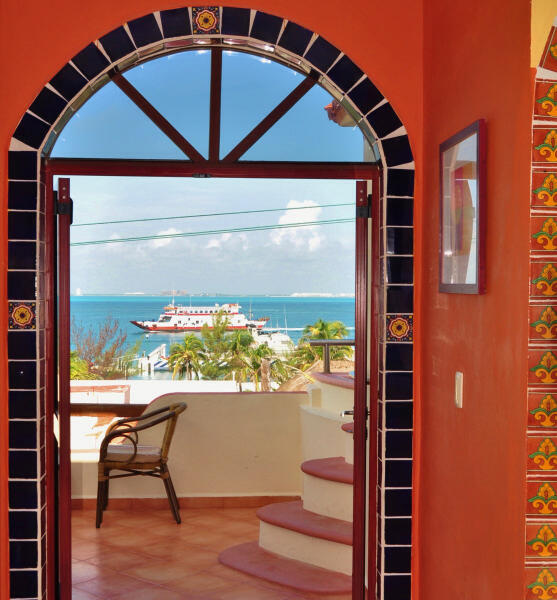 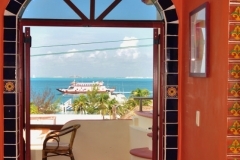 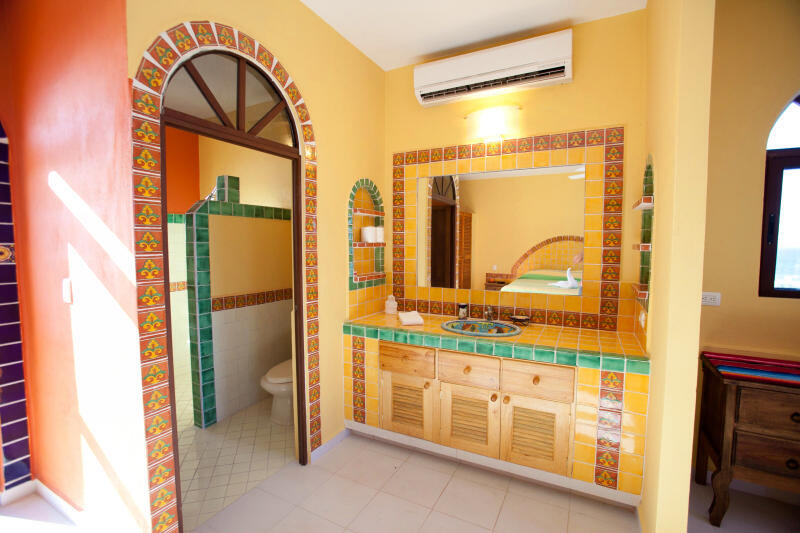 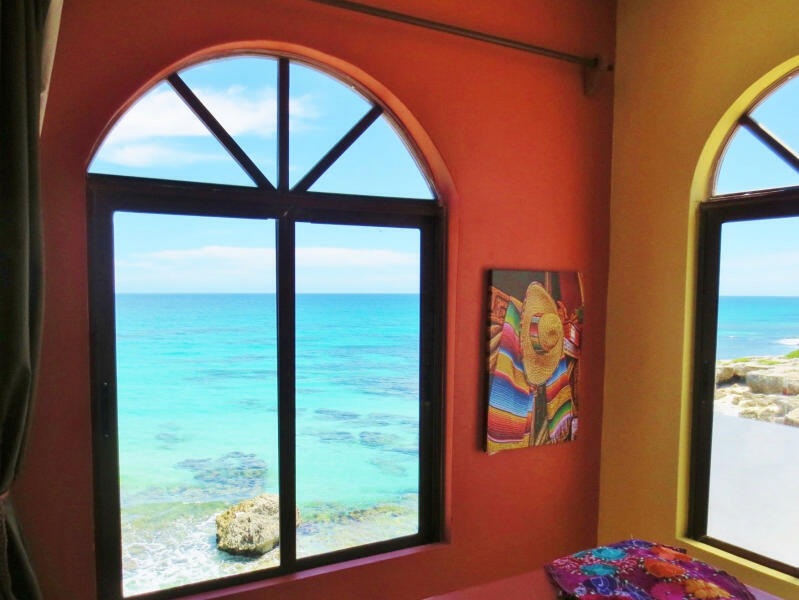 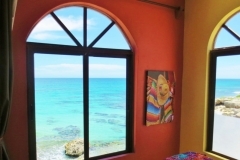 The arched window from this floor’s ensuite walk-in shower also has a stunning view of the Bay of Mujeres with the daily traffic of passing ships and ferries. 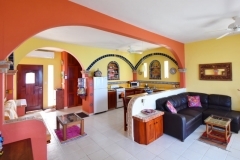 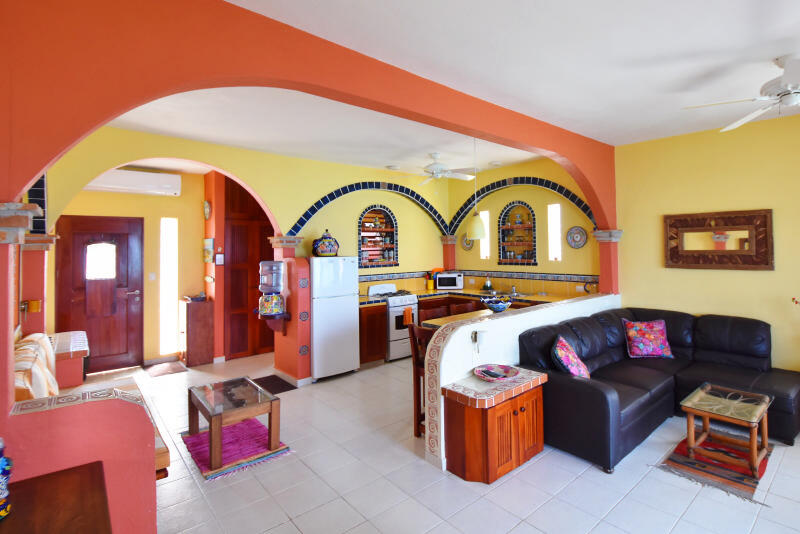 Downstairs on the entrance level is a full kitchen, a second bathroom, living room and another terrace with unobstructed views of the Caribbean Sea accessed through sliding glass doors out to the Living Room Terrace. 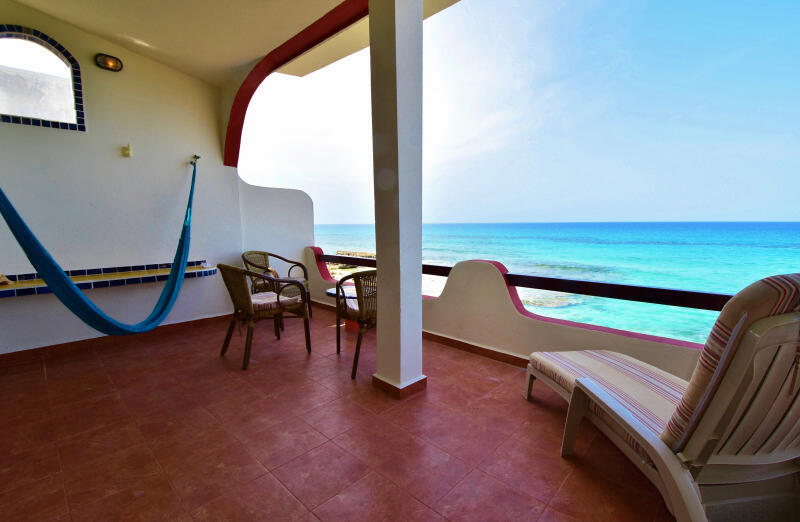 Furnished with chairs, loungers, table and hammock, this spacious terrace is perfect for outdoor relaxing, enjoying the breeze and afternoon shade. 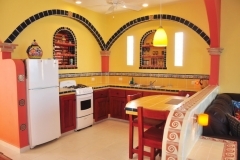 The kitchen has everything to prepare full course meals or your favourite drinks and snacks. The sitting area near the kitchen has a couch that can convert to a twin daybed for an extra guest. 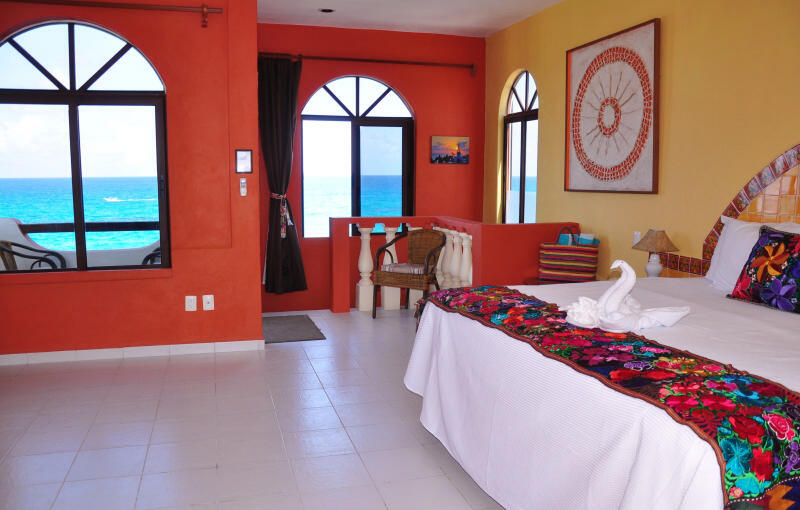 Our housekeeper will set up an electric twin air-bed if you have a 4th guest. 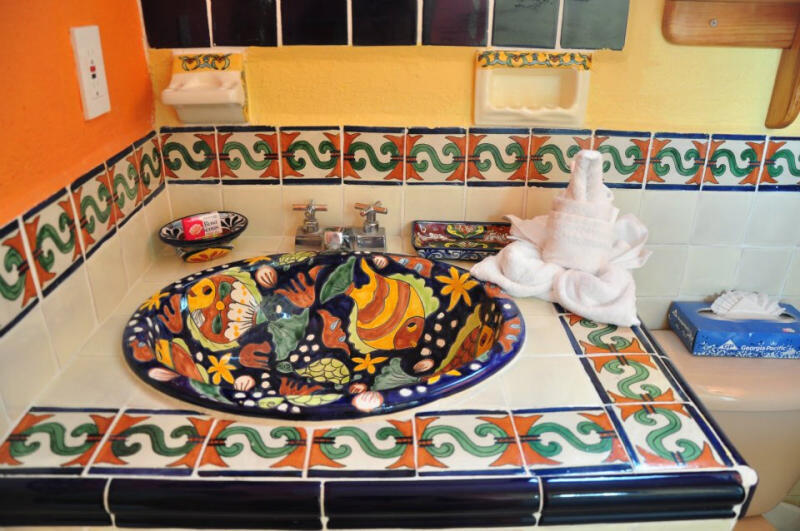 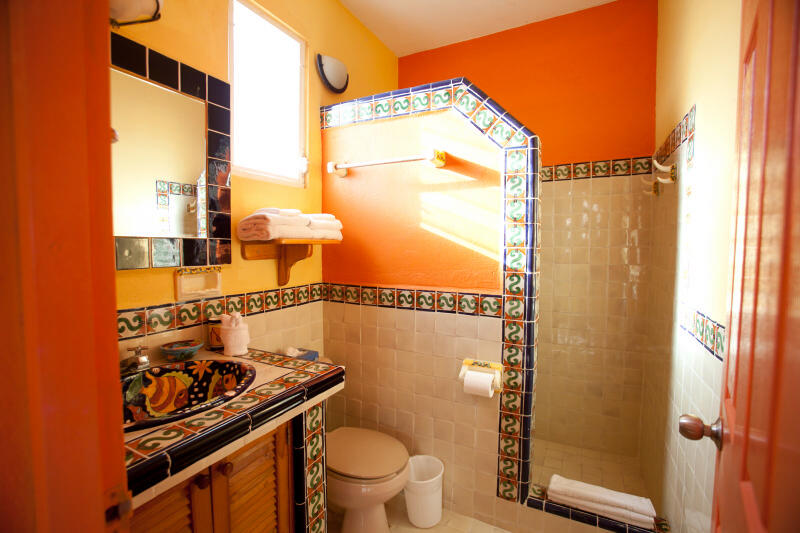 The three piece bath on the main floor includes a walk-in shower, talavera sink and hand painted tiling throughout. 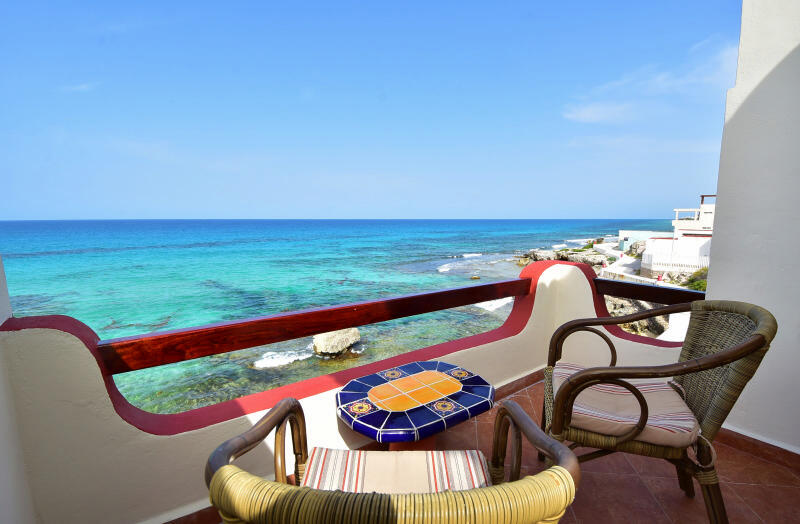 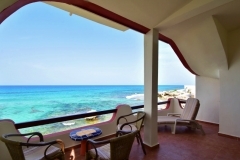 The private roof top terrace of Casita Isladise is accessed from the poolside Sunset Terrace and includes a U-shaped sitting area with incredible 360 degree views of Isla Mujeres, the bay and the turquoise ocean that surround the island. 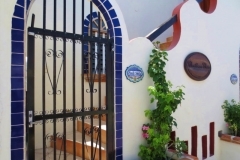 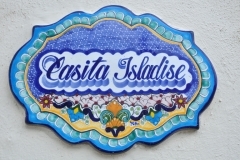 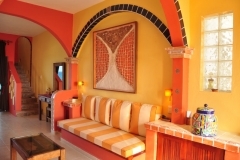 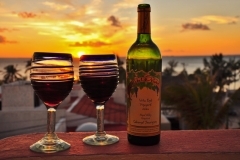 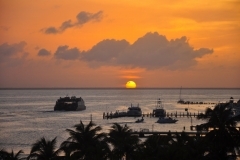 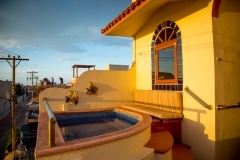 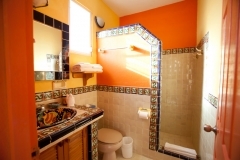 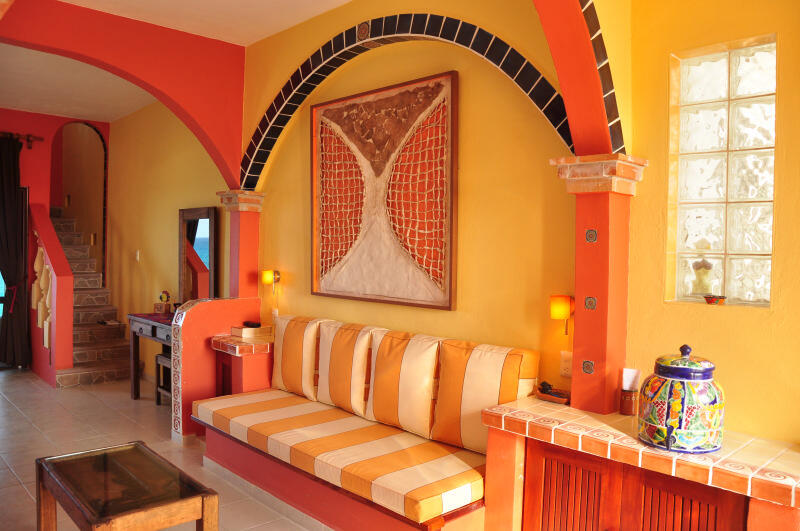 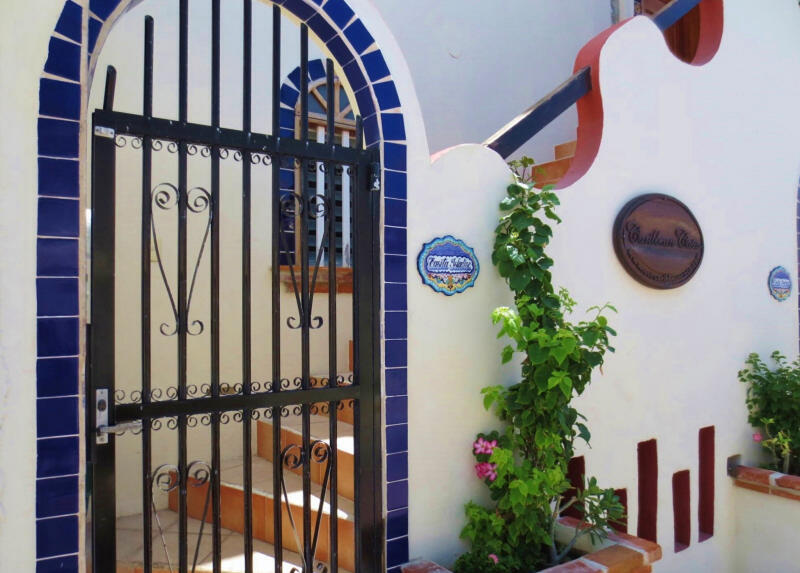 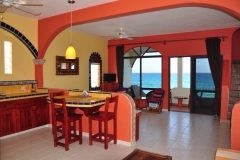 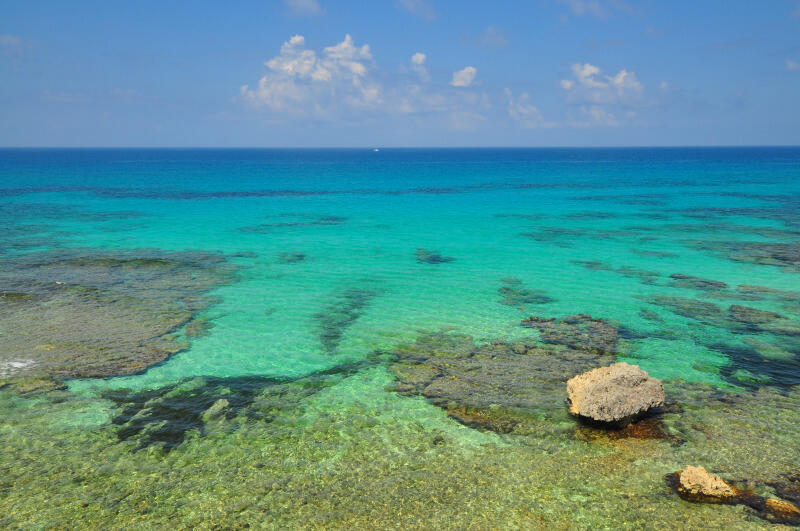 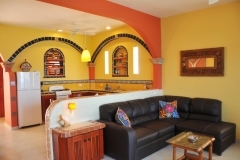 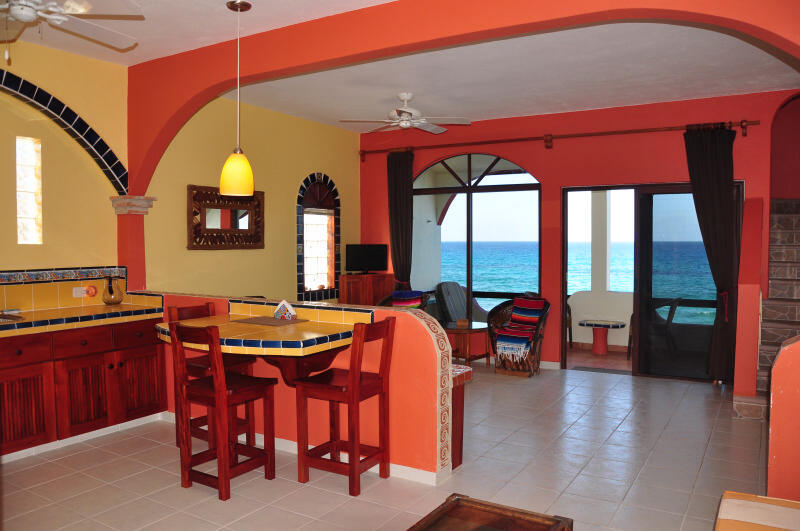 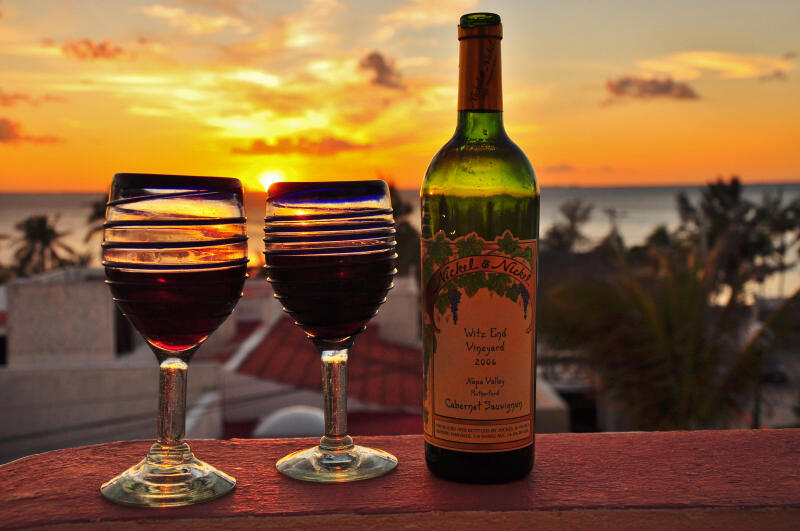 Casita Isladise is perfect for honeymooners, romantic getaways, couples, and families with older children. 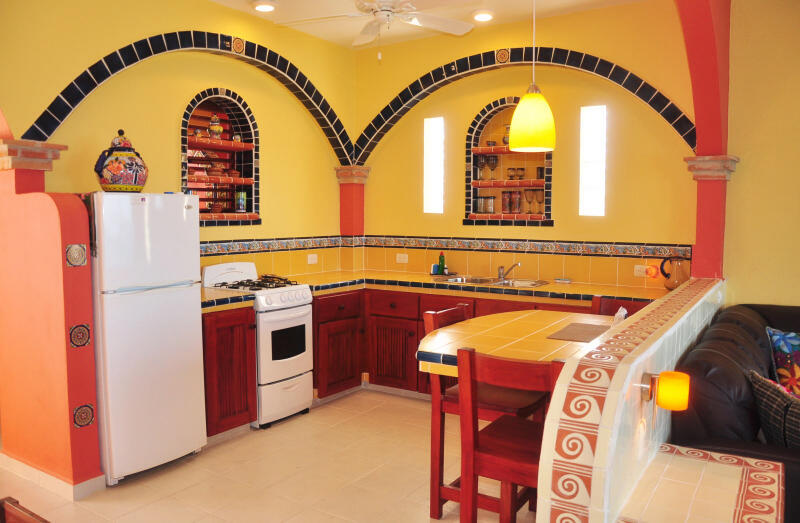 Fully-equipped kitchen includes: Toaster, Microwave, Crock Pot, Blender, Coffee Maker, Refrigerator & Freezer, Gas Stove & Oven, Dishes, Pots and Pans, Cutlery. 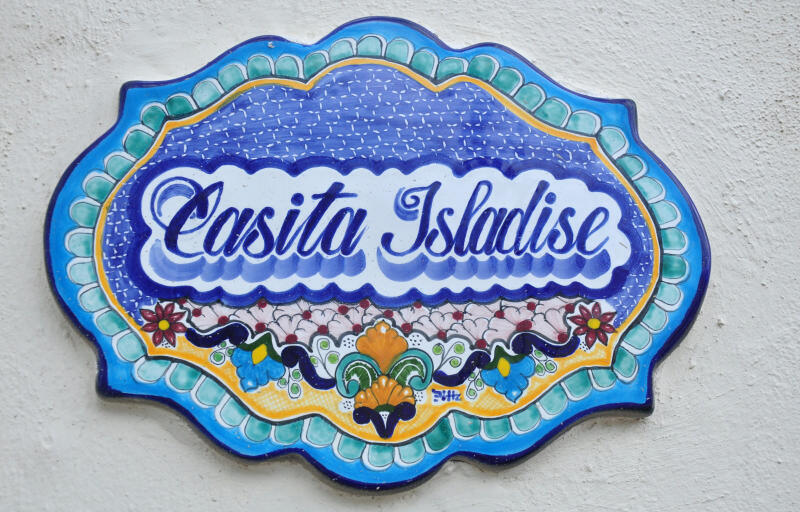 Casita Isladise can comfortably sleep 3 – 4 adults.